Dublin defender Philly McMahon has rejected Jim McGuinness' suggestion that agreeing to play just one Super 8s game in Croke Park would "help the team's legacy." In an interview on Tuesday, McGuinness highlighted the fact that Dublin are likely to play two of their Super 8s clashes in Croke Park while the other seven teams will play there just once. And he called on Dublin to agree to one of their fixtures being played at a neutral venue. And while McMahon insists the Dublin players will play where they are told, he denied there is any issue around the current team's legacy and where they play their games. "I'm certainly not looking at what my legacy is just yet in terms of what we've done with Dublin," McMahon said at an AIG Heroes event. "I'm still present in terms of what we're trying to achieve. "But what we've done so far is not to looked (down) at, we've achieved a lot and through that achievement we've helped a lot of people. 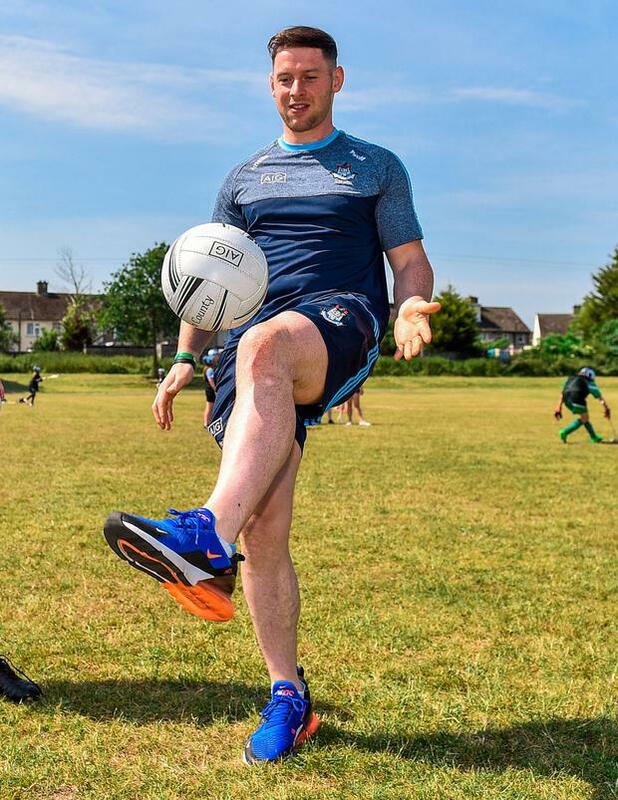 Pressed as to how they had helped people, McMahon replied: "For example, I set up a charity because I have a profile as a Dublin footballer, and I used the platform of sport to help people. There's an example. "And we have other people who are involved in other charity work so we use our success the right way. McMahon insists the players don't get involved in such issues and will leave the decision to the powers that be in the county. "To be honest, that's a county board matter. I'm a player, I'll play on whatever pitch I'm put on; if there's two goalposts and grass you just play." However, the Ballymun Kickhams club man insisted that it stood to logic to play Dublin games at headquarters due to the size of their following. "When Dublin use Croke Park as a home venue, they rent it, so anyone can rent it. It's up to their counties to rent it if they want. "It's not as if we're getting something that nobody else can get. "If other counties want to rent Croke Park, they can rent it. "Just for us with the fans that we have it probably makes more sense to put it in Croke Park. "It's very important that if we have a good fan base... we already have an issue when we get to All-Ireland finals that there are so many fans that go to all the games that miss the All-Ireland finals. "So for us to play games in Croke Park, it's a no-brainer. Why would you play in a smaller venue, and not facilitate your fans? "For me, in terms of this situation, it's a county board issue. Let them deal with it. I'm a player, I go onto the pitch and play where I'm told." Dublin marched to an eighth provincial title on the bounce last weekend. And he was full of praise from the way his clubmate Evan Comerford stepped into the goalkeeper's position the absence of Stephen Cluxton for the first time since 2004. Cluxton is expected to be available for the opening round of the Super 8s on July 14/15. "It's wasn't very different for me because he's a clubmate of mine but I've seen a much better maturity from him because you have to be vocal as a goalkeeper, you have to be in control," McMahon continued. "And I'm probably too vocal in front of him when it comes to club that he probably didn't express himself enough. "Now he's doing it with Dublin it's great to see, he's working really hard. "When you're working with the coaching staff in terms of the goalkeeping coaching staff, when you see the work put in, it's huge. It's no wonder he's able to just gel in and perform straight away, and perform really well. "He didn't concede a goal, did really well on his kick-outs, he was very vocal and they're the things, the external factors, people probably don't look into. "They probably go, 'Ah, he didn't concede a goal, his kick-outs were (good)...' but they don't look at how did he structure his defence, how did he talk to his defence, all that sort of stuff is very important. "(At club level) I'm the full-back and I'm very vocal. "In terms of Croke Park you wouldn't be able to scream your head off as much so I don't really do that, it was just great to hear him behind me step up. "And don't get me wrong, he does do it at club level but just because I speak a lot more you probably don't hear him as much. "It was great to see him gel in really easily due to the hard work he's done with the coaching staff over the last couple of months."